Continuing your life and starting to live normally again after a mastectomy may not seem plausible at first since there are many emotions and both physical and mental pain running through your body. While the physical pain fades in time, the emotional pain can still remain for years to come and there are only a few key things that can begin to help with that type of healing. Thanks to many women just like you there are support groups all over the internet and in your local area that not only help women who’ve had a mastectomy but are there to give you tips about getting through the entire situation. Using life improving products is another great way to make sure that the emotional healing begins. With a large selection of swimwear, hats, bras, and breast forms; our online store is the one stop shop for all women that have bravely faced a mastectomy and are now looking to keep going with their active lifestyle. There’s no slowly down a woman who is set on continuing in life and no better place to get what you need to do so than the Woman’s Personal Health resource. Convenient ordering is available all day and all night so that you can quickly get your order delivered right to your door within a few short days. 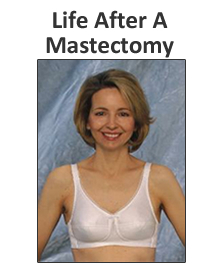 Start to live a life after a mastectomy that’s full of fun, joy, and love. Life is all about making the most of the moments that you have – so make sure to stay close to family and friends in this time of healing and you’ll begin to smile again! There’s no better feeling than true laughter and fun with the ones you love, and when you need great products to help you along the way always trust us here at Woman’s Personal Health.